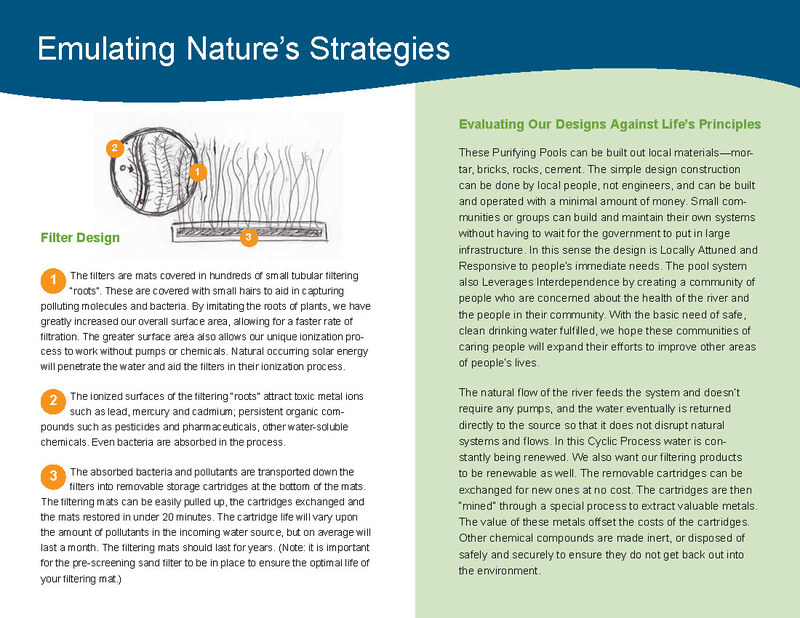 Biomimicry is a design methodology that looks to nature for inspiration in its form, processes and principles of life. 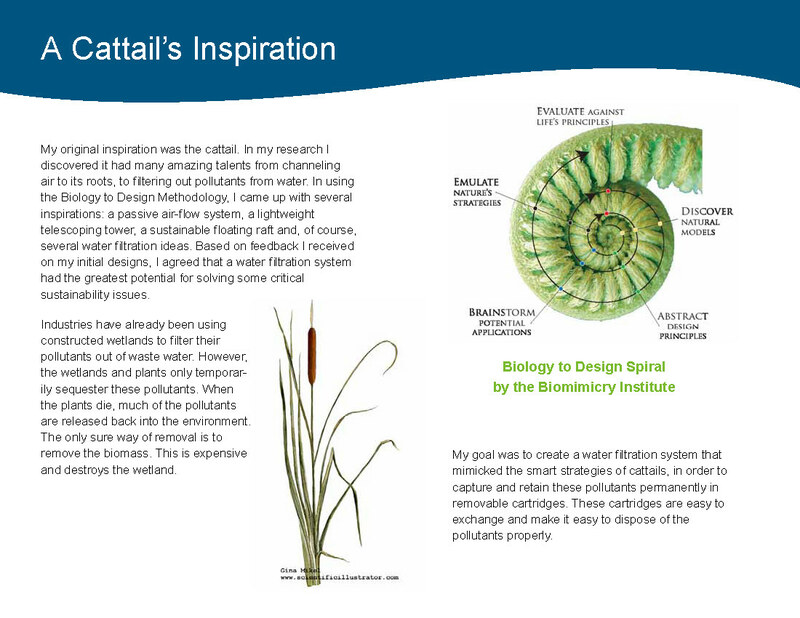 For this final class project, I chose a cattail as my inspiring organism. 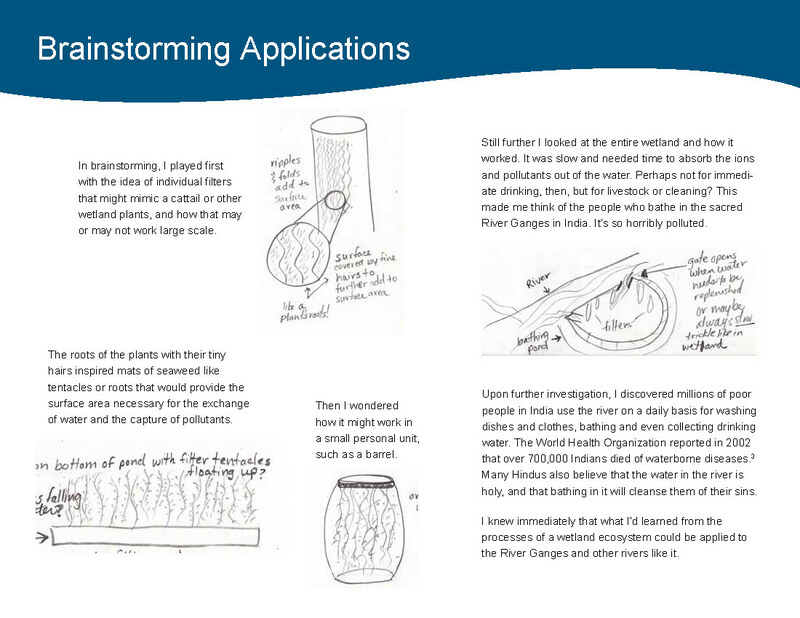 I made observations and did research in order to abstract design principles that could be used to solve a real sustainability problem: safe, clean water for millions of poor in India that use the polluted Ganges River for their daily water source.